Stormtroopers are back and better than ever in The Force Awakens with a fresh and updated look. Enjoy some Episode 7 fun by watching as the modernized version of the Imperial soldiers, because why wouldn't you want to watch Star Wars as an actual Stormtrooper. 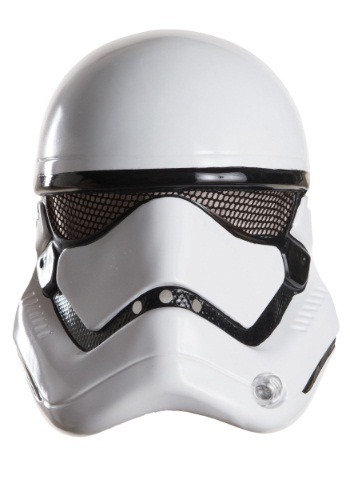 Don't want to commit the an entire Stormtrooper costume? No problem, this half mask is an easy way to get into all of the excitement! This mask only covers the face, it's not a complete helmet so don't worry, you'll still be able to breath just fine. Ok, so we've established that this 1/2 helmet is completely awesome, but did you know that it also comes in a child size? You and your little one can fight together because after all, you are stormtroopers, you are the keenest weapon in the Emperor's arsenal.